There are few ways to escape the capital more effectively than climbing aboard a boat and setting out to sea. With luxury cruise liners resembling floating five-star hotels with access to endless sunset views, it is no wonder that business is booming for cruise companies. According to the China Cruise and Yacht Industry Association (CCYIA), the number of outbound travelers from the Chinese mainland hit 790,000 in 2010, up 20.1 percent from just a year earlier. METRO asked three industry insiders to share their memories of very different cruises. As a medium-sized cruise liner, the 52,926-ton Costa Classica is a ship that meets most expectations. At 220 meters in length, the Classica was built in 1991 by Fincantieri Shipyards. 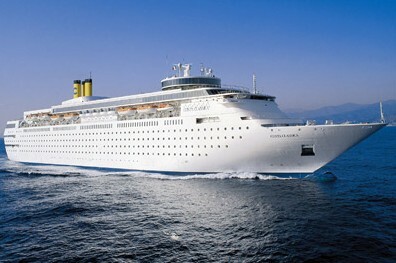 She can hold 1,308 passengers and has a crew of 590, with 654 cabins. The liner is home to two restaurants, seven bars, two swimming pools and four whirlpools. This five-day route is suitable for anyone wanting to warm up after Spring Festival. It stops at Hong Kong, Sanya and Halong Bay in Vietnam, and because of the short distance, is reasonably priced. Prices start at about 2,400 yuan but a little more (3,500 yuan) will secure a room with a sea-view. It also includes the visa fee and port charges for entering Vietnam. Hungry people need not worry as there is a stack of food on offer. Travelers are allowed to consume five dinners every day, available from morning to night. "The waiting staff bent over backward to accommodate us," said Ding. "If we didn’t like a dish, we simply requested something else and it was provided." Ding said the experience was "a totally different feeling". "The sun was warmer and so too were the smiles," she said. When visiting ports, travelers should remember to exchange their money before leaving the ship for ease. "This helps everyone, especially senior citizens, to get the most out of their trip," Ding said. Another draw for the trip, she added, is the ease of visiting Hong Kong, since "a tourist visa to Vietnam can give access to Hong Kong for a day of shopping heaven".